Dr. Abreo is committed to transforming the lives of his patients through their smiles and oral health. Patients visit Dr. Abreo for a wide spectrum of common and specialized dental needs, including cosmetic dentistry, root canals, extractions, implants, wisdom tooth pain, and orthodontic treatment. He also takes a special interest in those that have a long-held fear of the dentist, and have not seen a dentist in many years. Dr. Abreo is a member of the American Academy of Cosmetic Dentistry, Academy of General Dentistry, and the American Dental Association. Dr. Abreo earned his dental degree from the University of Texas, San Antonio. 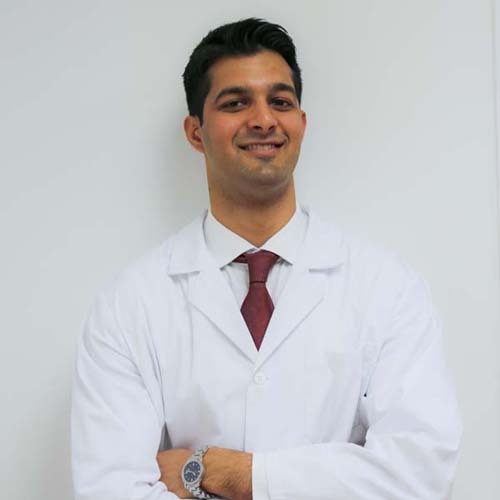 He then completed his residency training at St. Barnabas Hospital in Bronx, NY where he performed advanced treatment in Oral Surgery, Prosthodontics, Cosmetic Dentistry, Endodontics, Implantology, and Periodontics. Dr. Abreo has also completed additional training in clear aligner therapy. Dr. Abreo is an active member of the Big Brother Big Sisters of America, and has taken several mission trips to the border of Mexico to provide dental care. In his free time he enjoys playing sports, traveling, and taking continuing education to stay current in dentistry.